with some inspirational messages to bring a smile on your kid’s face. This week I am going to be making ‘take out recipes made at home’. This is a very interesting theme and I started making the list. Until the last day I was redoing my lists and still could not decide on what I wanted to make. Apart from blogging, things have been pretty crazy. This is the time when both my boy’s activities are at a peak and I am running around like a crazy woman. I am sleep deprived and really longing for a restful night of sleep. Guess that has to wait for yet another 2 weeks as things don’t seem to improving for a while. When I think of take-out, the first thing that comes to my mind is Chinese food. Chinese food is something we often order as a take out. We would usually be picking up some spring rolls, Vegetable lo mein and Fried rice. 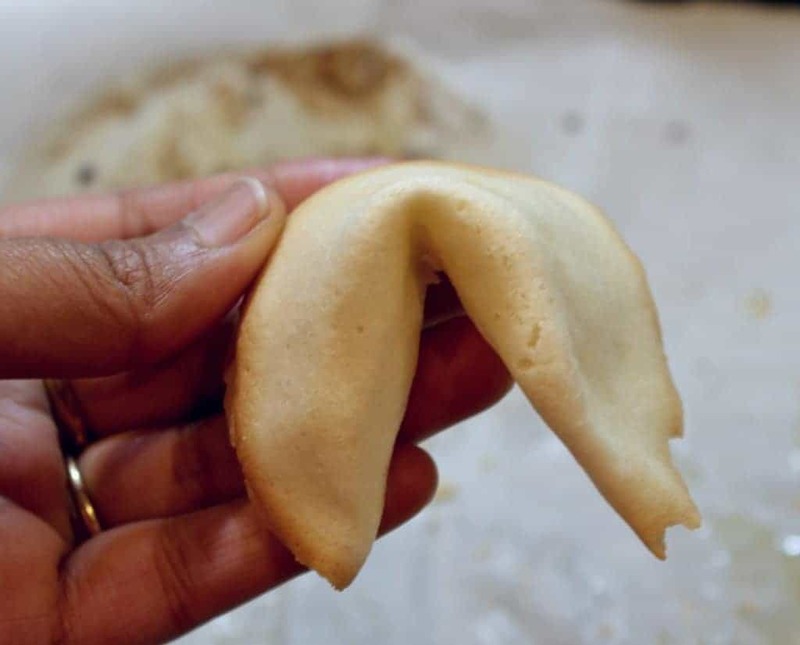 One of the things that we often fight for from the Chinese take out are these fortune cookies. 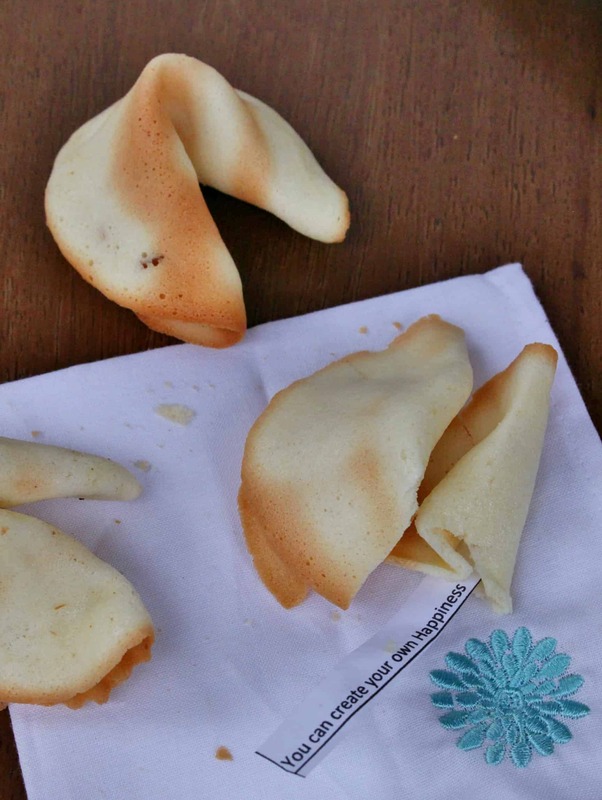 It is fun reading the little fortunes that come inside the cookies and also love that these cookies have very simple flavors that is just so refreshing as an after dinner sweet snack. 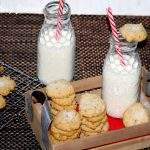 The recipe to make the cookie batter is very simple. It has some flour, fat, egg whites, sugar and flavoring. Shaping the cookies is where the challenge comes up. We need to be working very quickly when shaping the cookies as they need to be hot. When they cool down, they crack up when shaping. The other thing is the thickness of the cookies when spreading out the batter. The batter has to be evenly spread as otherwise it would brown up fast wherever they are thin and still be under-cooked elsewhere. It took me a few attempts before I was able to understand the right spreading technique. I made only 2 cookies at a time as that gave me enough time to shape them. 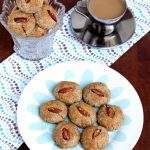 It would be really helpful to have an extra set of hands when baking these cookies. 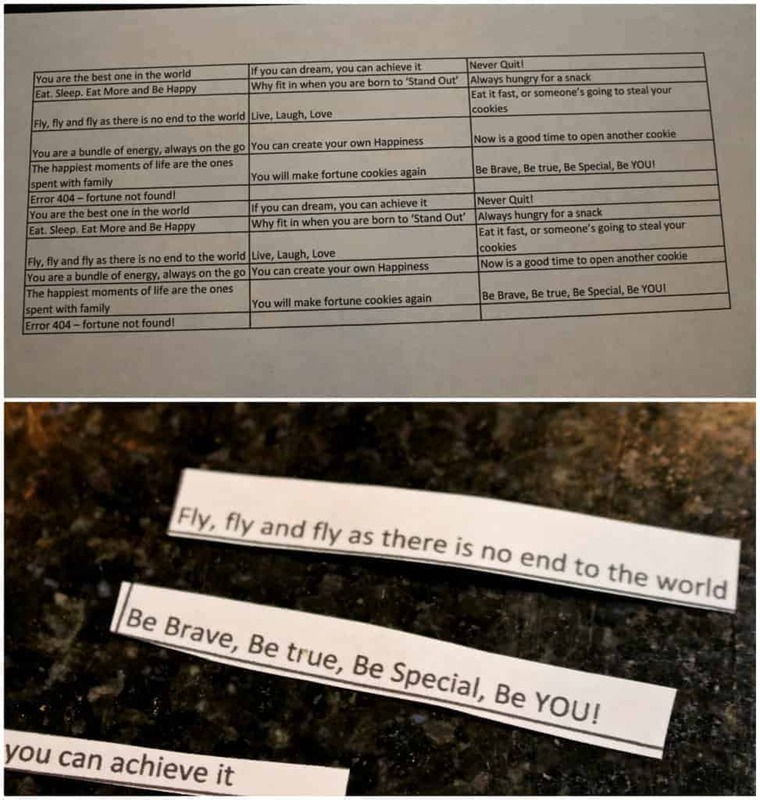 I took some inspiration for the fortunes online and printed them out. I cut them into approximately 2 1/2 inches long and 1/4 inch wide strips. This would be a great cookie to make for kids party or ladies get together and share some inspirational messages. 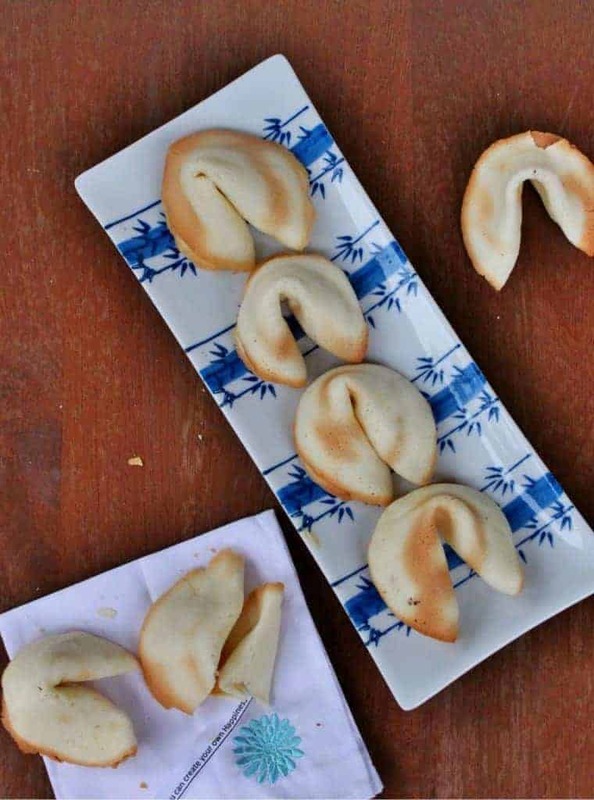 Prepare the fortunes to be placed inside the cookies. I printed them and then cut it out. Make sure that the strips are about 2 1/2 inches long and about 1/4 inch wide. Separate the egg whites and place them in a bowl. Using a whisk or beater, beat the egg whites until it is foamy. You don’t have to make it form peaks but it should become frothy. 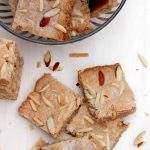 Now add the sugar, oil and almond extract and whisk further to mix well. Sift the flour and salt and add it to the wet mixture. Combine well to form a smooth batter. If the batter appears too thick, add a tablespoon or two of water and mix. The batter should be free flowing from a spoon. Pre-heat the oven to 350 F. Line a baking sheet with parchment or silicon mat or grease it with oil. Drop a tablespoon full of batter and spread it around to form a even 3 inch circle. I used the back of my spoon to spread it around like a crepe / dosa. Make sure that the batter is spread in even thickness as that allows for even cooking. 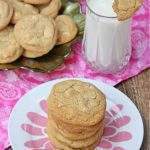 I made only 2 cookies at a time as that allowed me to work with them comfortably without them hardening quickly. Place the tray in the oven and bake for 5 to 6 minutes. Depending on the thickness of the batter, it might cook at about 5 minutes or could take a little longer. 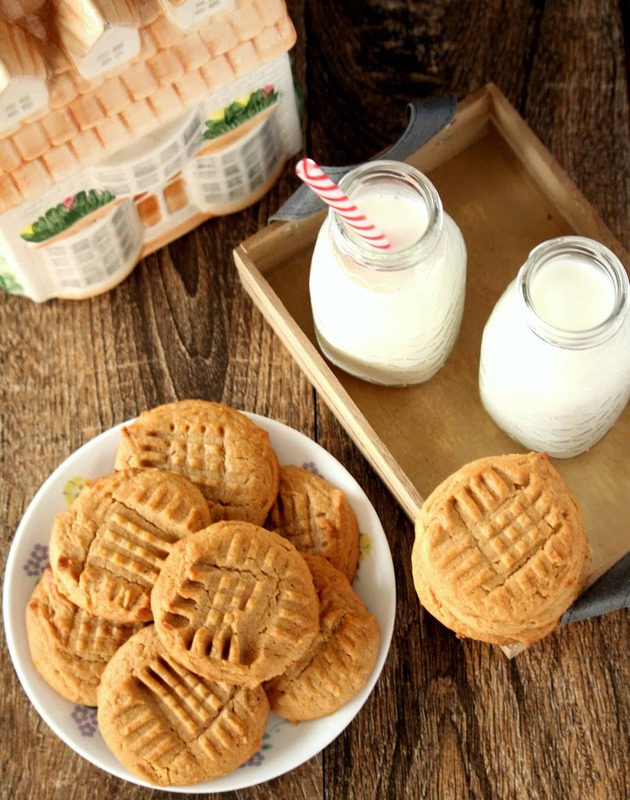 Once the cookies begin to brown on the edges, take them out of the oven and place the tray on a kitchen towel. 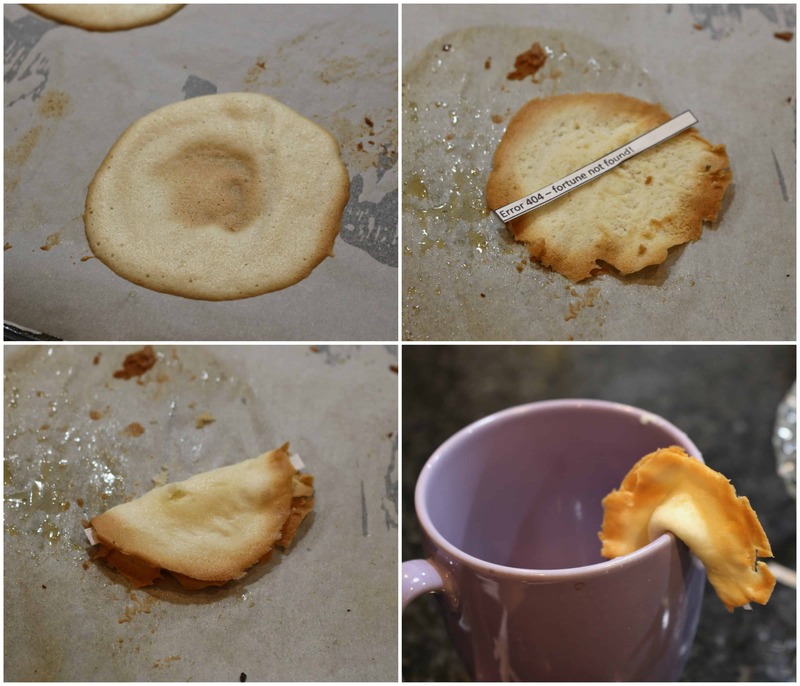 Using a thin / flat spatula, remove the cookies from the tray and flip it over. Working quickly, place the prepared fortune strip in the center and fold the cookies in half. 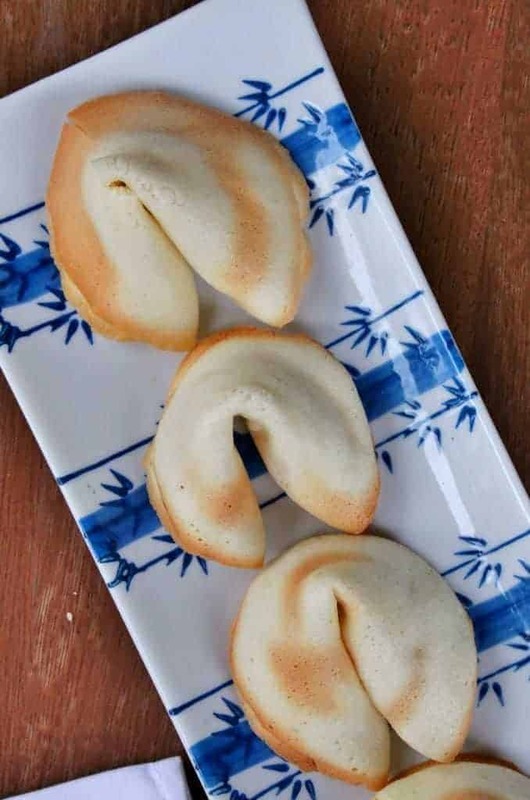 Place the folded cookies on the rim of a glass with the fold side on top and bring the edges together to form the shape of the fortune cookies. 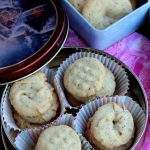 Place the shaped cookies on a muffin tin so it retains its shape when it is cooling. 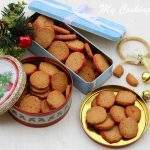 Once the cookies cool down, place them in an airtight container. It is not easy to shape the cookies. It takes a few attempts before we know what thickness will make the perfect cookies. The cookies do become soft after a while. I am still trying to figure out what would work. 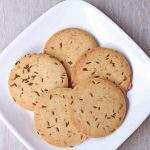 I read somewhere that once all the cookies are done, when we place them in a warm oven for few minutes it helps in even browning of the cookies and also keeps them crisper for longer. This has not been tested by me yet and I am going to try it when I bake these next time. Bookmarking these Sandhya. I love these so beautifuuly made. 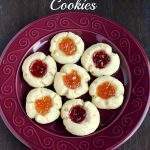 Ultimate those cookies looks, you nailed them prefectly Sandhya, always love to read those fortune strips hidden inside this cookies, lovely pick. 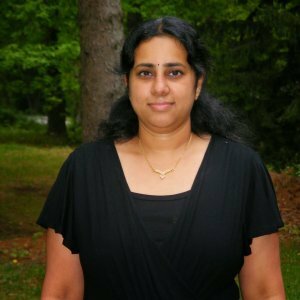 I second Priya Suresh. You have nailed them perfectly. Love those fortune strips. Awesome Sandhya. Oh how cute ! 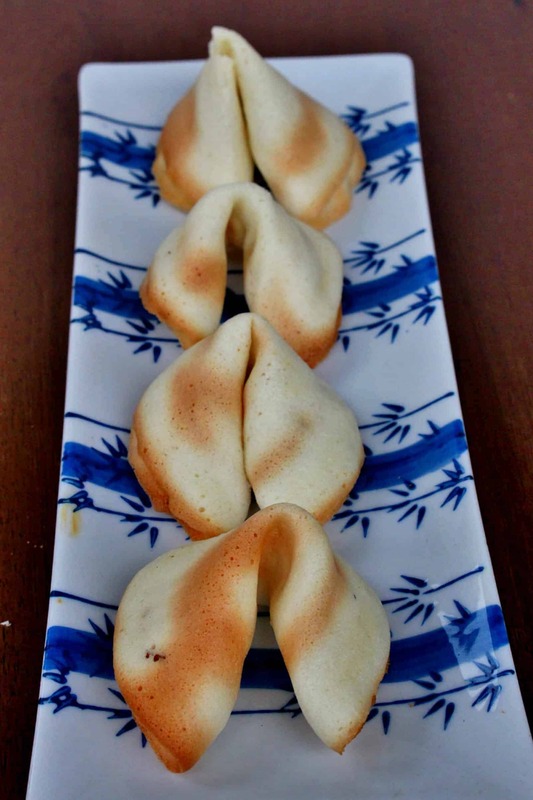 We do not have these cookies here , but I remember in Japan the Chinese restaurant always serve them . You got them perfect and these little fortune written notes are so much fun . I am definitely trying this out. Fortune cookies are my daughter’s favorite part of going to any Chinese restaurant. 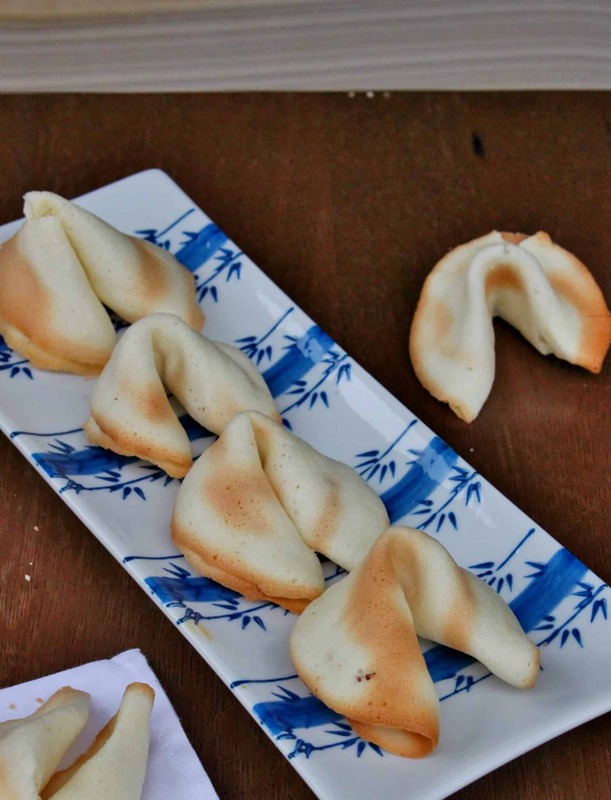 This is amazing Sandhya — you made your own fortune cookies — WOW — I never have even imagined they can be made at home. They look so crispy and yummy!! Wow! Such a daring soul you are! I was so tempted to make these for one of the BM editions and the method seemed so daunting! You have nailed it Sandhya.Hat’s off!!! 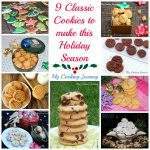 I once bookmarked these cookies but never attempted o try. They look so perfect and love reading the fortune too.